Can bonobos synchronize to the beat? Today the Daily Mail reports on an exciting new finding: Patricia Gray (University of North Carolina in Greensboro) and Ed Large (University of Connecticut) claim to have shown that bonobo's can synchronise to a beat. According to Science News "the researchers gave a group of bonobos access to a specially tailored drum, then showed them people drumming rhythmically. Eventually three animals picked up the beat and were able to match tempos with the scientists. 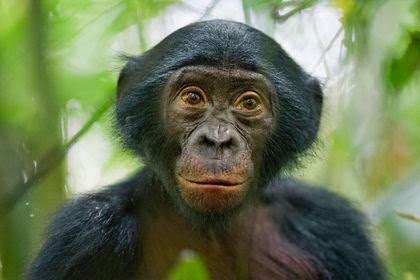 Bonobos were also found to prefer a faster pace than most people." I'm still tracing the actual published paper. More in a few hours... I hope. Update 20140218: It turns out the paper is still in preparation. While one of the authors was so kind to share a draft with me (confidentially that is), I guess we have to wait for the normal peer-review process to see whether the claims made in the Press Release – so confidently distributed via Reuters – can indeed be substantiated. Quite an unusual order of things, I have to say. Related press: See e.g., news item on Radio 1 België. P.S. In the Netherlands, bringing out facts as scientific, but that are not checked by peers (e.g., by journal peer-review), is considered bad practice. (In fact, it has lead in the past to several reprimands imposed by university representatives on the researchers involved.) These kind of 'incidents' cannot be good for the image of music cognition nor for science in general.